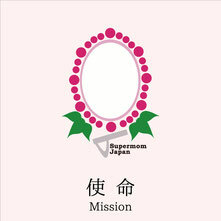 Supermom Japan creates Japan-themed bilingual educational materials and does such English education. 6. The Asa-no-ha moyou, hemp leaf pattern is one of the Japanese traditional patterns and it is believed to drive away evil spirits. This pattern is printed on a corner of each card and all over the box. 7. Very simple English and Japanese texts for even children to understand. Japanese is all written in Hiragana. 8. Many ways to play with the cards. The cards come with an instruction of how to play with them.